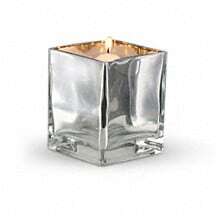 The beauty of red roses, the fragrance of pink lilies beautifully presented in a sparkling mirrored silver cube. Bouquets this outrageously romantic are what Valentine's Day is all about. She'll be thrilled. Totally thrilled. 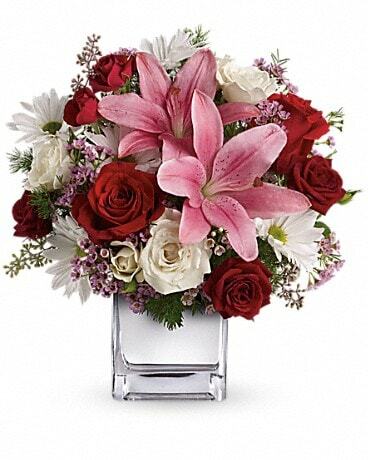 If you want Valentine's flowers that will really impress her, forget the supermarket. 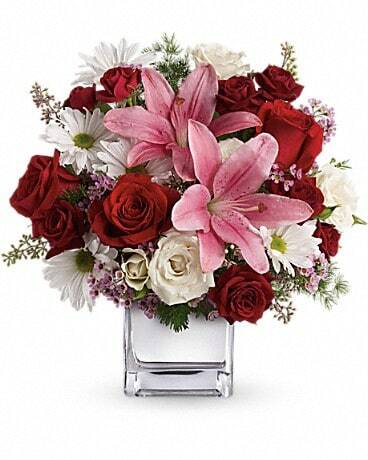 Go premium all the way with gorgeous red roses, fragrant pink lilies and more in a stunning silver mirrored cube. She'll know that you really care.